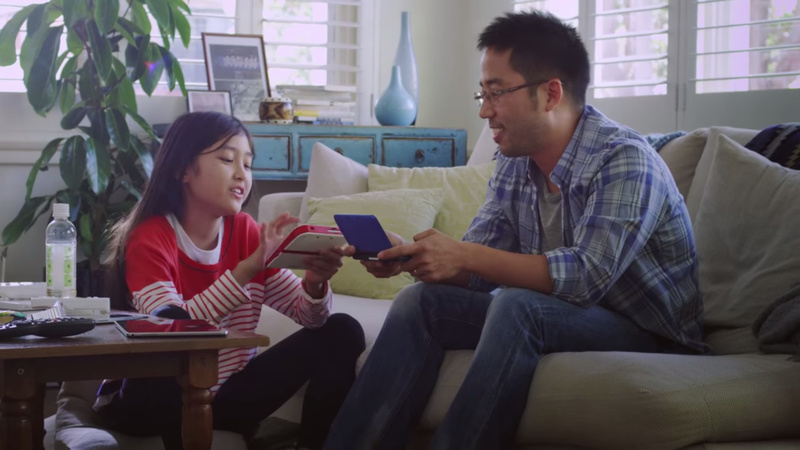 Pokémon Company president Tsunekazu Ishihara has already triggering speculation regarding the form factor of Nintendo's forthcoming NX system by stating that it will "change the concept" of handheld and domestic gaming, and Game Freak's Junichi Masuda has added more weight to the "portable" side of things by reinforcing the franchise's commitment to handhelds. When coming up with the idea of Pokémon, what we really wanted to create was something where people could get together and have fun trading, battling, showing off their Pokémon collection, and just talking about their own adventures with the game. Handheld consoles and devices offer us the best way to achieve this vision. We want Pokémon to be a means of communication. What I really want to do is to connect people, then help them form great memories by experiencing these distributions and such in certain places. I think of it like having a meal. By itself, a meal is usually pretty forgettable – it can be hard to even remember what you had for lunch yesterday! But if you go for a meal with a close friend at a restaurant you love, you'll remember that meal for a long time. I want to give people memorable Pokémon experiences with one another. We still don't know exactly what form NX will take as Nintendo is yet to officially unveil the console, but Masuda and Ishihara's comments point to a strong portable focus, even if the system does have some kind of domestic presence. "Handheld consoles and devices offer us the best way to achieve this vision." Making alot of money! Pretty sure they won't make a console release since Wii U is basically dead and they will sell more on Cell Phones and Handhelds. It's worked for them this far and as long as Nintendo keeps their handhelds reasonably priced I doubt it's going to hurt them any time soon. If anything they might wait and see how the hybrid thing works out for Nintendo before they put a game on it. Handheld gamer here, I love this. Playing Pokemon on the go is the best. Main series should stay on portable, but spin offs could be made on console. Riiiiight, because a multiplayer home console game couldn't possibly enforce communication between players to a more effective degree! It makes more sense to insist that players each buy their own system and go on a separated journey, than to create a home console experience where both players go on the same journey and then fight each other to determine who gets to battle the Champion. Seriously, a local multiplayer Pokemon game would achieve this vision better. Just don't skimp out on the story and structure. It needs to feel like a main series Pokemon game. I don't think Masuda was alluding to codename NX at all here. It seems like he's trying to damage control what PokéPrez said about making games for the still unknown system. If codename NX isn't a handheld, they won't make games for it. But they could always use the teams they had for Pokémon Colloseum/DX and Battle Revolution. @GrayMoon Genius Sonoroty made those games but they laid off the majority of their staff after PBR flopped. They can't make big games anymore. @GrayMoon77 That would make NX a dedicated home console, which is unlikely when compared to the overwhelming amount of rumors suggesting that it's a handheld that also works as a home console. It also wouldn't make sense to replace the Wii U before replacing the 3DS since the 3DS is older and its visuals are extremely aged, but it makes perfect sense to replace them both at the same time. I actually enjoyed Pokemon Colosseum for Gamecube and Pokemon Snap for N64...and I wish that they would re-release both in HD formats or even expand on those games and make some new ones in those series. I just hope they stay away from the Hey You Pikachu and Pokemon Channel titles. Still though, even Pokemon XD Gale Of Darkness and Pokemon Puzzle League were good ones (as well as Pokemon Stadium 1 and 2). Even if we don't get a proper handheld version, I still think Pokemon Colosseum was close enough to it. @BlatantlyHeroic With the Wii U tablet, I always thought they were going for that 'take it on the go' concept. Maybe they will do it as both (bringing both console and handheld together) and make a really good console to where it won't have the droughts like their consoles usually have one year, and the other year the handheld does. I've started to see that if the 3DS has a strong library of games coming to it one year, the console doesn't...whereas if the console gets a good majority of titles, the handheld doesn't. Never understood why they don't make enough for both, but I also never understood that when the console or handheld is on their final year, it's like nintendo stops making anything for it. @BlatantlyHeroic Your shared game concept would only really work with people who live together, which would be a pretty small minority of the overall player base... everyone else would still be forced to get individual copies so that they can play while they're not with their fellow players, and then they'd have to either introduce a way to take their game data with them when they did go to play together (e.g. take the console itself), or play online (which defeats the social aspect). The NX still could be both, but if the Pokemon company states that it is, they left out a leak...even if they kind-of mention something like that, and we all know how secretive nintendo is being...it's like Area 51 at nintendo headquarters!!!! I'd rather play Pokemon on the go anyways. I don't really play on my home consoles. Won't be buying the NX no matter what it is. Just bought a PS4 this year and still haven't bought every game there is for it either or the Wii U for that matter. Well here's hoping the NX is some sort of cross between handheld and console then. @BlatantlyHeroic Uh... No. The way Game Freak originally envisioned (main series) Pokémon games work best for handhelds. I can relate to that, since I've felt all those things they were looking to achieve with friends and family. Now, a Stadium-like spin-off wouldn't hurt either, but I can live without it. I've always just enjoyed handheld gaming more. There is something about it that's missing when I'm playing on a console even with friends with me. It's like reading an actual paper book versus reading a book on a tablet or other smart device. It's a different experience. I just want them to at least do what they did with Pokemon Stadium where you could play the Gen 1 and 2 games by plugging your game into the N64 controller add on, and you could use your Pomemon for simple battling on the console game. That's not too much to ask I don't think. Okay I understand they apparently gave some "vision" for having these games on the go, but would it hurt to make a proper Pokémon adventure game for a home console. That should be a primary push for the NX. The system would sell so much better with a Pokémon game on it within the first 2 years of the launch of the system. We're never going to get that MMO are we? @Churchy To a large degree a pokemon mmo doesn't work well. It's just not a game suited to that environment. A more sandbox, online version of pokemon would be neat but not really as an mmo. @HawkeyeWii The problem is that a 'proper' Pokemon game on home consoles wouldn't sell as well as the portability is aa necessity for that style of game, so they'd always keep 'proper' Pokemon games on handhelds to get the best sales, leaving only spin-offs for home consoles. The advantage the NX would have if rumours are true would be that it'll be both handheld and home console... so there would be no need to differentiate between the two... even if they develop a Pokemon game for the NX as if it was just a handheld, it would still double as a home console game. @Yorumi In all honesty I'd probably want something with a Dark Souls-style system, where you can play in the world and go through the game as you want, but you can also play online and have the chance to meet other players. But it's a tad long-winded! @Churchy that's generally the way it would have to work. An online world that's less linear where you can meet other players. Could have goals for the community to complete at times and things like that. Would be neat but yeah it's just not going to happen. @Yorumi It would be seriously cool. I kind of see it as being a companion to the handheld, so there's another point of interactivity. But yeah, it's very wishful thinking! If it ever did happen though I'd eat my socks. I'm not joking. "as long as Nintendo keeps their handhelds reasonably priced"
@AVahne Hey, I think the 2DS and New 3DS are reasonably priced in the US! I don't mind Pokemon staying on handhelds, but it's time for an HD main series Pokemon game. Imagine if next Pokemon games in HD like Pokken, Open World, Full customizations both characters or Pokemons, Day and Night, Our own house ala Animal Crossing, Crafting or making items ala Disney Magical World, some mini games, etc. It would be an Extravagance experience for playing Pokemon games. @BlatantlyHeroic Except they have released console games before. The sales were probably lousy. It makes no sense to release Pokemon on a main console. Handhelds have always sold more, and fans will buy the games on handhelds regardless of the whole "everyone having their own system" logic. @TheLZdragon That line of logic isn't great cause if that were all there was too it we might as well just end home consoles, pc's, or portables and just go 100% phone gaming. Spinoffs - Console, mobile, or handheld, fine. Main games - Handheld all the way! Admittedly I was a home console games for years. I just bought the 3ds in order to experience some nintendo games like zelda link between worlds which werent available on the big screen. At first I didnt like portable gaming, it was awkward. With time it grew on me. Right now its my favorite gaming device. In regards to the words of Junichi Masuda... he says "Handheld consoles and devices offer us the best way to achieve this vision." - So far we've only had real Pokemon games on handhelds... so with 'devices' he's either hinting at a portable component of the NX... or maybe the next pokemon games will come to smart phones? :/ Time will tell. @penamiguel92 You might be on to something there! I've never understood why people want a console Pokemon so much. Pokemon really works best on a portable, one main reason that no one seems to mention is VGC tournaments. VGC is going to be huge this year, and being portable is a MUST for that. @NFERNO Not really, it wouldn't be hard to make a pokemon game that would let you log into a server or something similar. Basically the game just has a feature to upload a team of 6, or if you need some reserves say 20 pokemon with items, then any version of that game would let you log into your account and get your team. Heck you wouldn't even need that, just make a simple tool you can download to a portable. The tool has the basic pokemon battle system, but no actual game. Kind of like the friend download of a multiplayer portable game. You could put your team on that and take the portable for battling. I already figured this was the case but I'm glad we have official word on it. @DragonEleven I don't agree. We can't really know though, because Nintendo has never given it a shot. No, Coliseum and Gale of Darkness do not count. The 2DS is reasonably priced NOW, after several price drops. The standard New 3DS's price is....good enough, with the extra plates and bundled game that I already have. A non-bundle at $150 NOW would be troubling. But my biggest problem with Nintendo's pricing is that the XL stayed at $200 until the New XL came out at $200, and it's staying there. In my opinion that's way too high for the hardware on offer and goes against what Nintendo used to do with their handhelds (DS and previous); offering great handheld experience with great battery life and competitive, affordable prices. And this is before we compare it to its competition's prices and hardware. Fortunately for Nintendo, people are still buying their handhelds at such high prices, but I sincerely hope they don't think that high prices and cheap hardware will work all the time. Of course the NX could be a semi-handheld? !